The Academy Awards have come and gone, and while it was all over the media… I honestly did not pay too much attention. Outside of American Hustle, which I managed to catch during my crazy “Megabus” trip to Chicago, the only nominated flick that I was able to see was “Frozen”. With three kids all nine years old or younger, the only time we “roll out the red carpet” and head to a theater is to see the latest Disney or Pixar production. I am not complaining, as the quality of the plot, production, and performances of these films are generally outstanding… it does, however, make me pretty useless in keeping up with current Hollywood pop “culture”. That said, three of the last kids’ movies that we have seen have not only been entertaining, but have also had some very insightful (and often poignant) lessons to be reapplied to an innovative culture at work. (Yes, my kids correctly think that I am a big nerd for over-analyzing their movies.) The one consistent theme that has been most striking to me has been the struggle to balance between trying to enforce strict, safe, and consistent control over an individual or an “organization” while still maintaining a culture of creativity, rule-breaking, and fearlessness. This tension is often central to the plot lines of these films and, in my opinion, is a microcosm of struggles that we are all facing in our innovative organizations (and even more generally in our society) today. 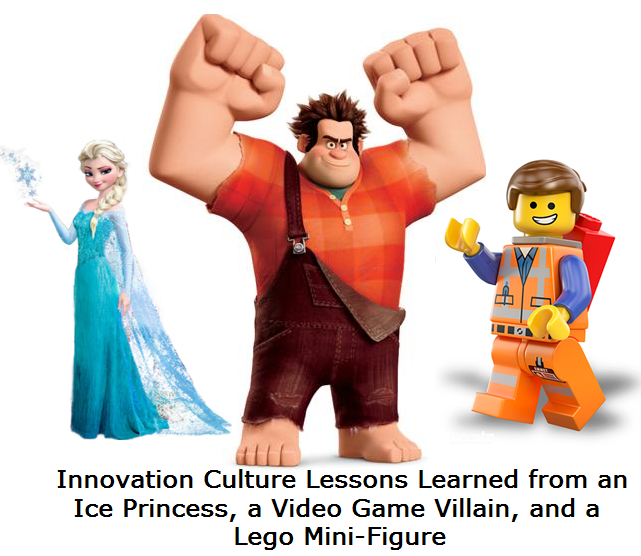 The lessons learned from a lego mini-figure, a video game villain, and an ice princess are surprisingly applicable to the challenges we face daily in our organizations. By far, this movie is the best metaphor of the challenges in corporations and businesses to maintain order and control while still encouraging individuality and creativity. (Plus, only in a Lego World can you have Han Solo, Batman, and Dumbledore all in the same movie!) Without divulging too many spoilers about the really well done plot twists and surprises in this movie, I will try to at least set the stage. The villain is the President of a lego metropolis, and his name is Lord Business. He has an army of “micromanagers” (yes, that is really what they are called), whose job is to insure that all of the lego citizens follow the rules, do what they are told, and do not deviate from the instruction manuals. His desire to maintain order is so strong that he hatches an evil plan to cover the entire city with super glue, so as to insure that every piece remains permanently fixed in its place. (To be fair though, having a son who is a lego maniac myself with his thousands of legos in the house, I do somewhat empathize with the villain… But I digress). Anyways… the hero of the story is named Emmet. He is just a run-of-the-mill lego construction worker who mindlessly follows the orders and directives of Lord Business, believes all of the propaganda, and happily goes through life just doing what he is told. Until one day… Emmet stumbles across a group of “rebel” lego heroes known as the “master builders” who are working to fight back against the oppressive rule of Lord Business. This band of legends and super heroes have the ability and the desire to build and to create using their own imaginations rather than using instruction manuals, and want the city to be more representative of the collective vision of the broader population and not just of the mind of Lord Business. They become convinced that Emmet is unknowingly the ultimate hero known as “The Special” and that he will lead the master builders to end Lord Business’s reign and to set the people free. Emmet joins the master builders, all of whom had either fled the city, rebelled against Lord Business, or been captured and removed from society. He quickly learns that he must stop Lord Business and to help the creative master builders to stop the evil “super glue” plan. He also, though, realizes, that the creative and imaginative “master builders” have bold visions, but cannot get onto the same page creatively, and thus that they too actually need to find a way to follow some common plans and instructions in order to translate ideas into concrete actions. In the end, Emmet thwarts the “super glue” plot and along the way teaches the master builders that a common vision and some degree of structure is important, and also helps Lord Business to see that for the city to truly thrive he needs to encourage creativity and expression among society… even if it means that some amount of chaos and uncertainty may ensue. In our organizations, does “management” want an army of executors who execute against “super glued” plans, or a creative organization who incorporates their own ideas into the broader vision? Do we want our innovators to strictly follow an instruction manual or to use their imaginations? On the flip side, are our innovators able to converge enough to follow a common vision and to make progress… or do they get caught in endless divergence? Do our innovators feel like a part of the culture in the organization, or do they feel they must rebel, flee, or quit to express themselves appropriately? 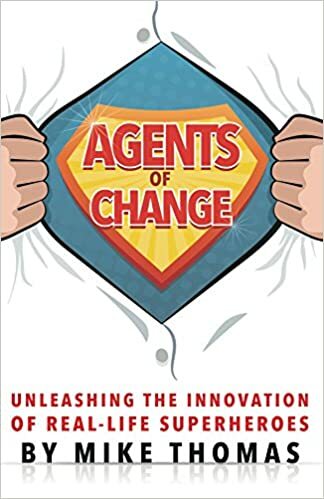 Do we encourage one common vision, and enable a battalion of leaders to find unique ways to plan and to bring the vision to life, or do we tightly micromanage so as to have one vision, only one plan, and an army of executors… but not innovators? This was a surprisingly good movie set behind the screens of an arcade and inside the lives and worlds of classic video game characters. The primary plot is set around a Donkey Kong-esque game, called Fix It Felix, in which a character named Wreck It Ralph is tasked with destroying a building, while Felix works feverously to fix it. In the game, all of the “digital residents” of the targeted building consider Felix to be a hero and encourage him with praise and awards, and consider Ralph to be a villain and assault him with insults and jeers. Eventually Ralph tires of his role as the “bad guy” and chooses to leave the game, essentially shutting down the entire virtual world of “Fix It Felix”. Without someone to destroy the existing buildings there was nothing then to fix, and the game was stagnant, no longer playable, and at risk of being “unplugged”. Of course, after a series of adventures, Felix ultimately finds Ralph, the good people of the building recognize Ralph’s importance, and they manage to save (and even to improve) the game. In our organizations, do we reward the innovators who break down existing “buildings” of norms, standards, and ideas or do we disproportionately encourage the “problem fixers”… the ones who work to maintain the status quo and to extinguish deviations before they start. Do we recognize that a culture of “fixing” can, at best, hope to maintain steadiness and parity… but can not encourage growth? Fixing things is important and can help to prevent losses, but to truly grow we need to “wreck” existing products, ideas, and models and then build them up better than before. Do we make the risk-takers and the rule-breakers feel like “bad guys”, while the risk-avoiders and rule-followers feel like “good guys”? For any of you who have young girls at home, your minivans and living rooms have likely been filled with the repeated singing of the ice princess’s theme song- “Let it Go”. In this movie, a young princess learns that she has “super powers” and that she is able to create snow, ice, and cold from her very own hands. She and her younger sister initially enjoy this amazing power, and proceed to have wintery fun and adventures. All of that changes, however, when, as a child, the ice princess once fails to control her powers and accidentally injures her younger sister, sending their parents into a panic and into action. Instead of supporting and teaching the ice princess how to harness the uncertainty of her powers, the parents instead banished her to her room and forced her to keep her powers under wraps. They essentially “managed the uncertainty” through trying to eliminate all risk, forbidding their daughter to use her amazing but somewhat uncontrollable ability. Then, as happens in any good Disney Princess movie, the parents eventually die a tragic death, and the ice princess has to emerge from her room and to become the queen of the kingdom. She tries to hide and to control her abilities, but they are an inherent part of who she is, and she ultimately and inadvertently unleashes them in a destructive freeze of the entire kingdom. She then flees into the mountains and vows to never expose anyone to her amazing and powerful abilities again. In our organizations, when an individual or team has a unique idea or an unproven talent, do we encourage her to experiment, to learn, and to fail or do we try to repress this amazing but potentially dangerous ability or to hide it and to “play it safe”? Are we helping these individuals to harness and unleash the uncertainty of their skills or do we manage and suppress them? Do these individuals feel supported and encouraged to “lead the kingdom” or do they feel reclusive and feared? Do they feel that the only way to truly be creative and expressive is to rebel against the organizational culture rather than to be a part of it? 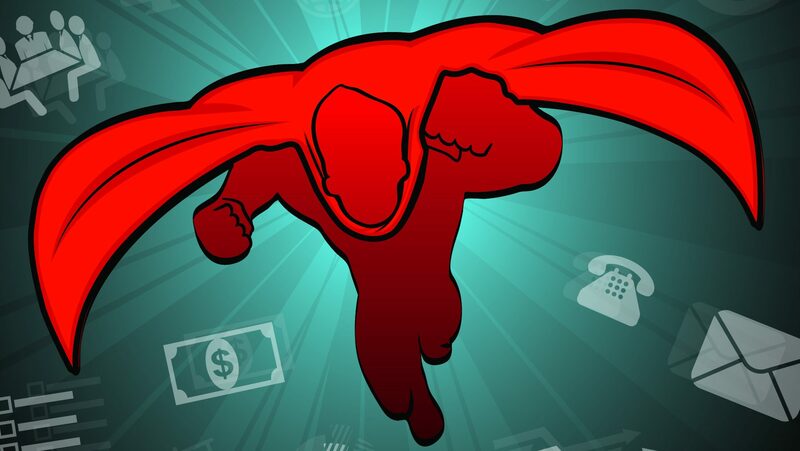 Overall, these movie themes highlight a tension that is all too common in organizations. Many managers want an organization of leaders, risk takers, and innovators, but at the same time want to super glue, micro-manage, and freeze plans and programs so as to maintain control and to minimize risk. If we want a truly innovative organization, then we need to focus on delivering a clear and aligned vision for the organization to follow, but then to allow strategic, tactical, and executional freedom to our innovators to create and to build without strictly following an “instruction manual”. We can’t hire innovators to merely execute- we need to encourage them to create, to explore, and to own. Yes, this will introduce some degree of chaos, of risk, and even of failure, but more importantly it is critical in allowing for breakthroughs, step changes, and new-to-the world innovations. When it comes to micro-management of innovators, we need to “Let it Go”, not be afraid to “Wreck” our existing norms and standards, and allow our “Master Builders” to innovate against the vision with the freedom of self-expression and creativity. Getting this balance right is key to delivering an innovative culture that delivers a “Box Office Smash”.